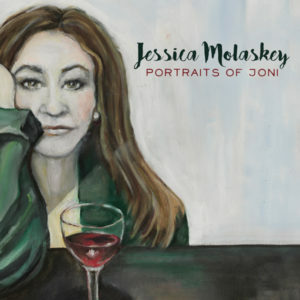 Jena Tesse Fox, James Marino and Michael Portantiere talk with Jessica Molaskey about her new album, “Portraits of Joni”. We also chat with Chris Harcum about his show, “Martin Denton, Martin Denton”. This week’s reviews include Broadway Stands up for Freedom,In the Wings Production of Anything Goes, Spoon River at Signature (Soul Pepper) and Assassins. JESSICA MOLASKEY is a veteran of a dozen Broadway shows including the revival of Stephen Sondheim and James Lapine’s Sunday in the Park with George, which was nominated for nine Tony Awards. She appeared in A Man of No Importance at Lincoln Center, Parade (directed by Hal Prince), Dream, Tommy, Crazy for You, Les Misérables, City of Angels, Chess, Cats and Oklahoma! She most recently played the role of Marie in the City Center Encores! production of The Most Happy Fella. Off Broadway credits include Songs For A New World, Dream True, Wise Guys (Stephen Sondheim, Sam Mendes), and Weird Romance (All Original Cast Recordings). 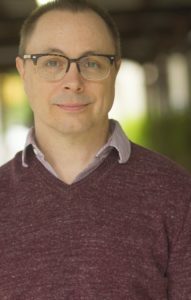 Chris Harcum is an award-winning actor, playwright, and Producing Director for Elephant Run District. Since moving to New York City in 2002, over 20 of his works have been seen on NYC stages. His full-length plays include “Martin Denton, Martin Denton,” “Rabbit Island,” “Milk & Shelter,” and “The Devil in Ms. Spelvin.” Chris co-adapted and played the title role in a modern version of Moliere’s “The Hypochondriac.” He has performed in nearly 200 projects as an actor. As a solo performer, he has created and performed “American Gun Show,” “Some Kind of Pink Breakfast,” “Gotham Standards,” “Anhedonia Road,” “Mahamudra,” “The Preservationist,” “Things Your Don’t Know,” “Weight and Weightlessness,” and “American Badass (0r 12 Characters in Search of a National Identity),” which was published in the Plays and Playwrights 2009 anthology. Many of these pieces, along with his plays “Rabbit Island” and “We Haven’t Told Anyone About This,” are published on Indie Theater Now. 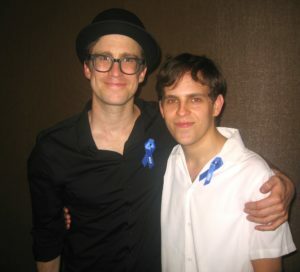 Chris serves as the Director of a Bright Future for League of Independent Theater. He is the recipient of the Leading Lights of Independent Theater Award for his ongoing advocacy and support of Off Off Broadway.